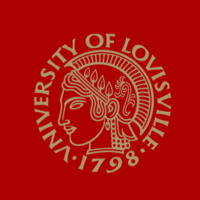 Come be a part of history at the inauguration of Dr. Neeli Bendapudi, 18th president of the University of Louisville. If you plan to attend the inauguration event, please register. Parking - Attendees from the Health Sciences Center or Shelby Campuses, as well as community members, are advised to park at the Cardinal Stadium parking lots and ride the shuttle to the Oval. Shuttles will bring passengers directly to the Oval beginning at 1 p.m. Shuttles will return passengers to those lots beginning immediately at the conclusion of the Inauguration and will run through the post-event reception. No parking will be permitted on the Oval on Oct. 4; handicap permit holders will be allowed to use the Law School parking lot. The Grawemeyer South (Natural Sciences) and Law School “Red” lots will be closed; all red permit holders in these lots will be relocated to the visitor parking lot at Miller Hall, accessible off Brandeis Street near 1st Street.